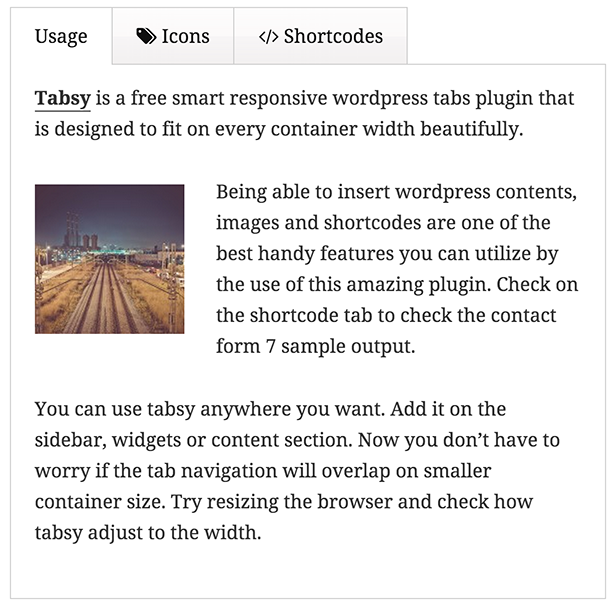 Tabsy is a free smart responsive wordpress tabs plugin that is designed to fit on every container width beautifully. Being able to insert wordpress contents, images and shortcodes are one of the best handy features you can utilize by the use of this amazing plugin. You can use tabsy anywhere you want. Add it on the sidebar, widgets or content section. Now you don’t have to worry if the tab navigation will overlap on smaller container size. Tabsy Customizer is a very powerful add-on for you to easily add the tabs without worrying about cluttered shortcode. 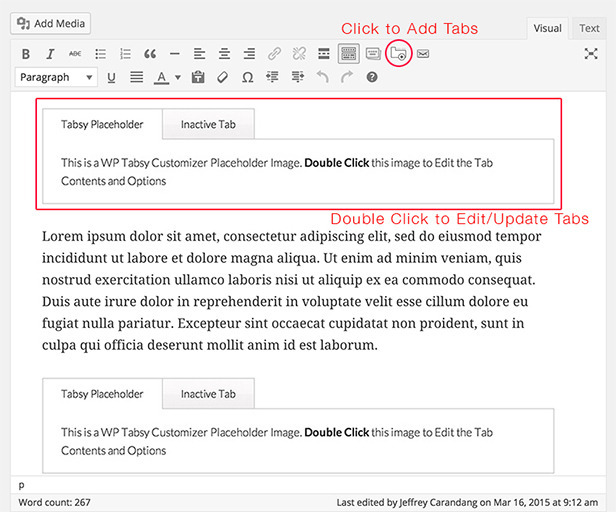 This plugin will automatically add tinymce editor button that will allow you to add/edit and remove tab icons and contents. Powered with drag and drop ordering and unlimited color scheme, this plugin is very essential to maximize the usefulness of Tabsy Wordpress Plugin.